IAN SOMERHALDER ATTENDED NEFF HEADWEAR EXHIBIT! Ian Somerhalder attended the Neff Headwear and the Seventh Letter’s Sesame Street Art Exhibit at the Known Gallery on Friday (April 27) in Los Angeles, check the gallery for more photos. IAN SOMERHALDER ATTENDS EARTH DAY CELEBRATION! Ian Somerhalder attended the Earth Day Celebration yesterday (April 22, 2012), I have added 10 MQ photos to the gallery! 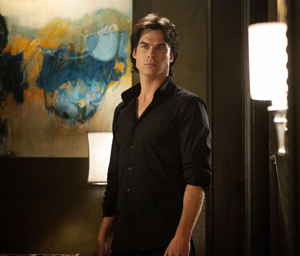 IAN SOMERHALDER SPILLS VAMPIRE DIARIES FINALE SCOOP! Ian Somerhalder visited the E! News studio (see more of him on tonight’s E! News at 7 pm!) 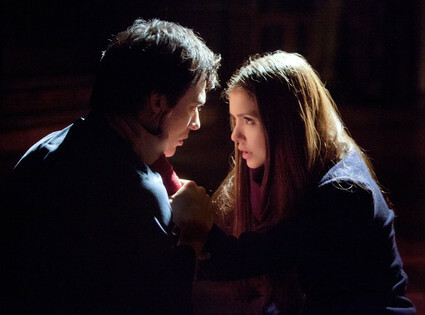 and Kristin Dos Santos had a few minutes with him to talk The Vampire Diaries season finale. Read the entire interview over at E!Online. 1. Stefan and Damon Strike a Deal! And me no likely. Ian reveals: “The brothers both agree, ‘If she goes for you, I’ll leave town. And if she goes for me, you leave town. So this doesn’t get weird.’ And they both agree on it. And that’s what’s so cool is that by virtue of this decision the boys have ultimately become so insanely close. And I love that I think it’s really cool that that’s what happens.” Right. Fine. But keep your hiney and your brother’s hiney firmly planted in Mystic Falls, mmm kay? Thanks. E!Online chatted with Ian Somerhalder about how he could come up with a plan to make his bloodsucking Vampire Diaries character Damon earth-friendly. Read the entire interview here. Somerhalder wants to trade in Damon’s 1967 Camaro for a luxury hybrid—a $100,000 Fisker Karma to be exact. In celebration of Earth Day 2012, Edward Norton has teamed up with online coupon giant Groupon to give away $50,000 in donations to three environmental charities. Leveraging his fundraising site Crowdrise, the 42-year-old will dole out $25K to whatever charity raises the most cash for an environmental initiative. Second place will score $15K and third will take home $10K. Groups have until May 15th to kick their support networks into high gear and beat out the competition. 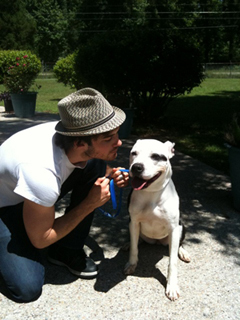 Currently, the official page for the charity contest has the Irvine Nature Center ($710) leading other organizations like Massai Wilderness Conservation ($530), Surfrider Foundation ($440), National Wildlife Humane Society ($365) and the Ian Somerhalder Foundation ($290). As we’ve seen in the past, expect Somerhalder and his huge network of fans and supporters to rally that total into the top three. I’d be really surprised if his foundation didn’t walk away with something out of Norton’s purse. IAN SOMERHALDER ATTENDED ‘GLAMOUR’ BOOK PARTY! Ian Somerhalder and Nina Dobrev attended a party for Glamour‘s new book on Monday (April 16) in West Hollywood, Calif.
TVLine sat down with Ian Somerhalder to chat about Damon and Alaric’s bromance, Elena’s happiness and much, much more. Read the entire interview over at TVLine. TVLINE | Elena is still hell-bent on going after Stefan. Where does that leave Damon? Elena’s a very strong-willed young individual. Elena’s going to do whatever Elena wants to do. She’s very persuasive, and I mean that in the most positive of senses. He’s going to try and help her in any way he can. He truly wants to be able to help her. He wants her to be happy. There’s nothing Damon won’t do for Elena’s happiness.